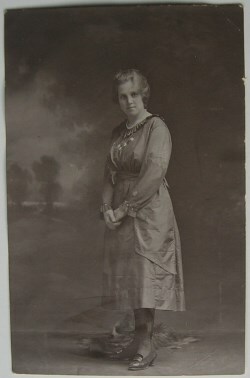 Ann was the second child of John Swingler and Ann Harrison, and the sister of my Great-Great Grandfather Frederick Swingler. I've unearthed a quite interesting little story about her and her time when she was a servant of the De Gruchy family in London. It seems that whilst she was working for the De Gruchy family she became pregnant and later gave birth to an illegitimate daughter. 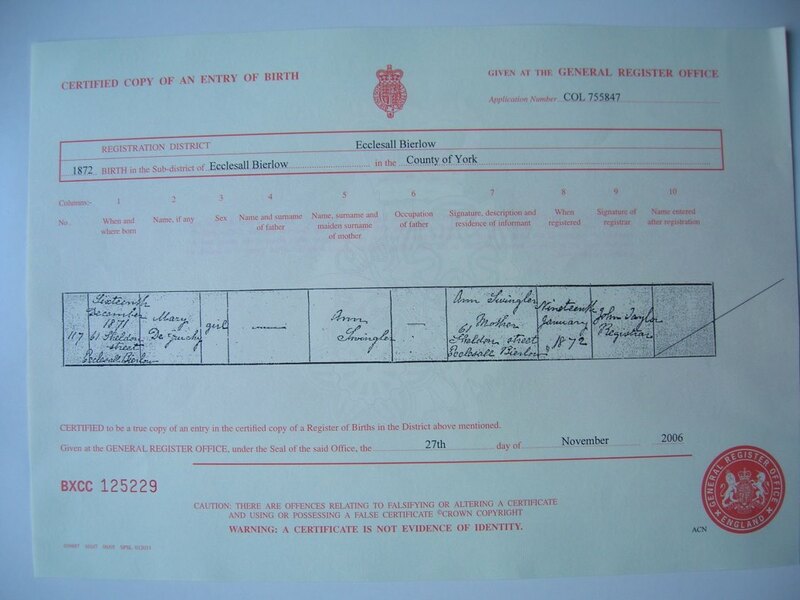 I've unravelled as much as I can from obtaining certificates and looking at censuses and other pieces of information. 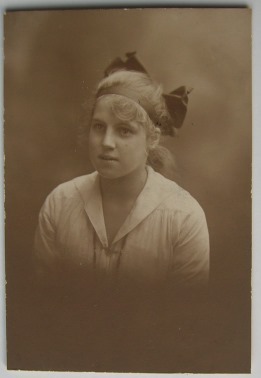 Her father John Swingler was at 61 Sheldon St, Ecclesall Bierlow, Sheffield as a boarder. (Image 2) This is the house where Ann Swingler later gave birth to Mary De Gruchy Swingler (Image 3) on 16th December 1871. 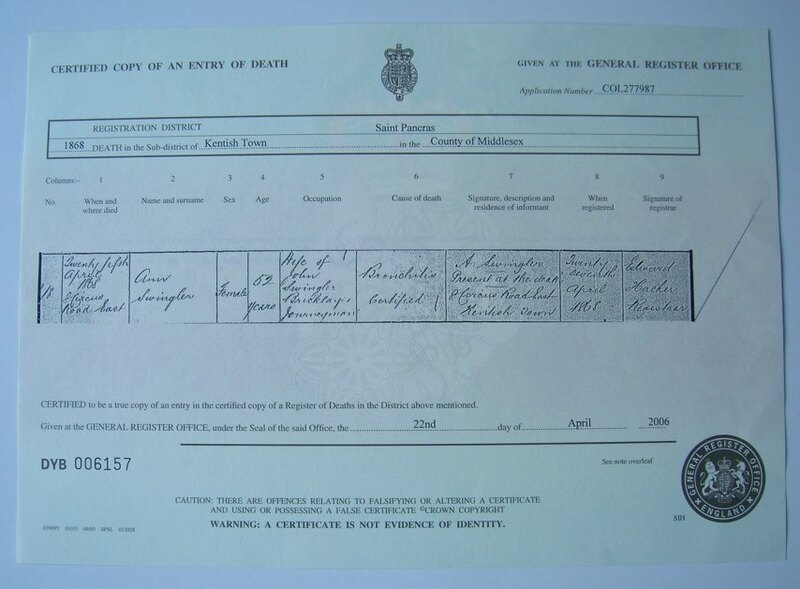 You'll notice on the birth certificate that it gives no name for the father, but I think it's significant that she gives her daughter the middle name De Gruchy which was the surname of the family she worked for. 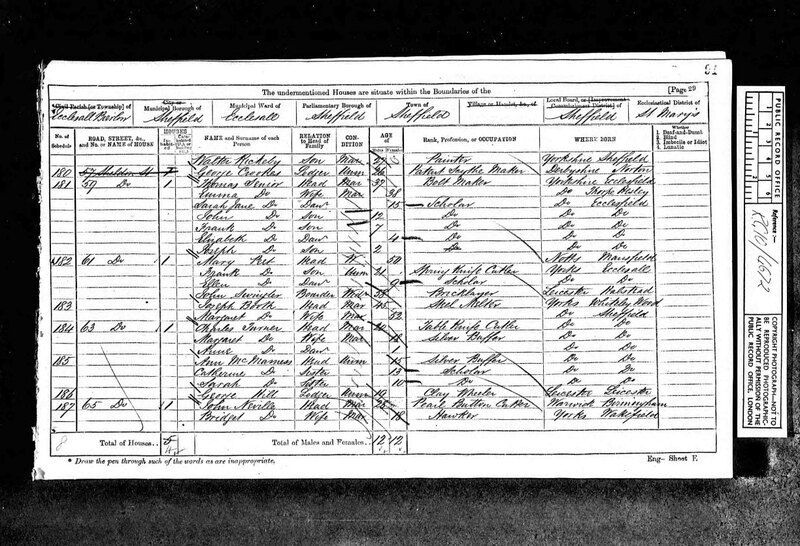 If you look at the London census return there are 2 candidates to be her daughter's father. Either Joshua De Gruchy Snr aged 56, or his son Joshua who is 23. We'll probably never know which or under what circumstances the baby was conceived. Maybe Ann was badly treated or just foolish, we can't know. What does seem clear is that when John heard about his daughter's circumstance he either sent for her to come and join him in Sheffield or came to London to fetch her. 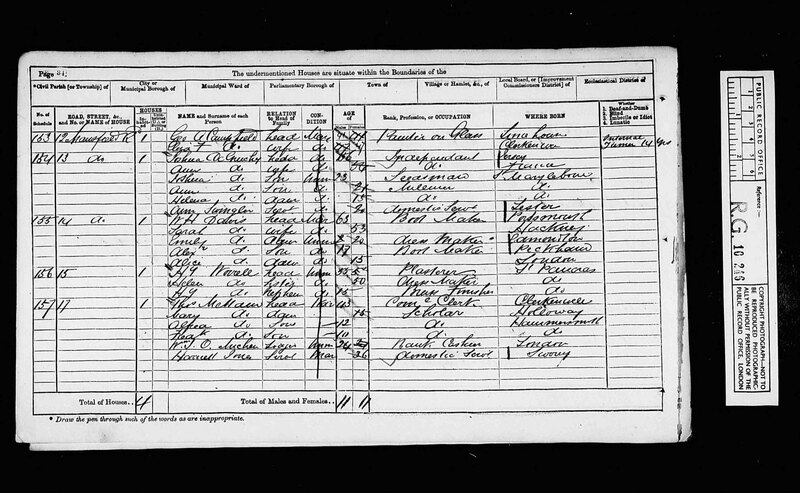 If the baby was full-term Ann would have already been pregnant at the time of the census, possibly only a week or two. It's quite sad and possibly significant that Ann's mother Ann, died only 3 years before these events. 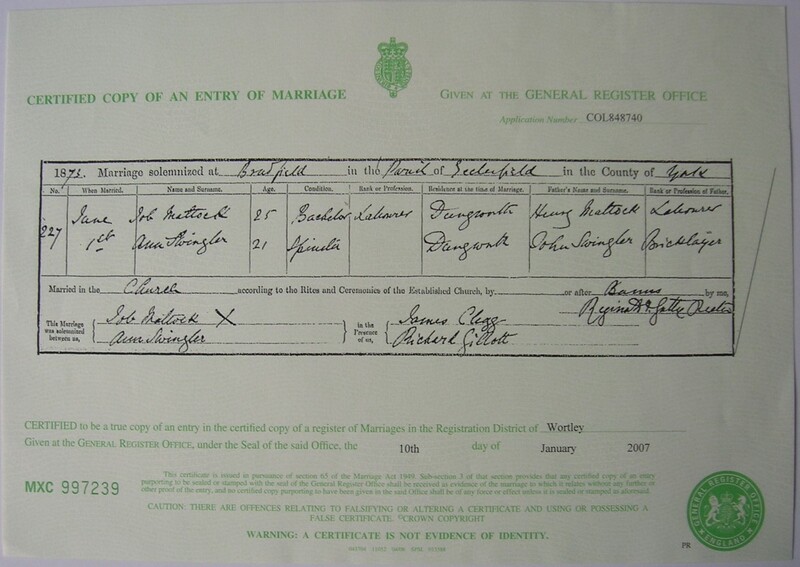 (Image 4) It must have been Ann who was the A. Swingler "present at the death" on the certificate. Ann was only 17 at the time. I do wonder if this could have had some influence on her getting into trouble, as the events are so close together and perhaps she was vulnerable and sad when she took the job at the De Gruchy's. 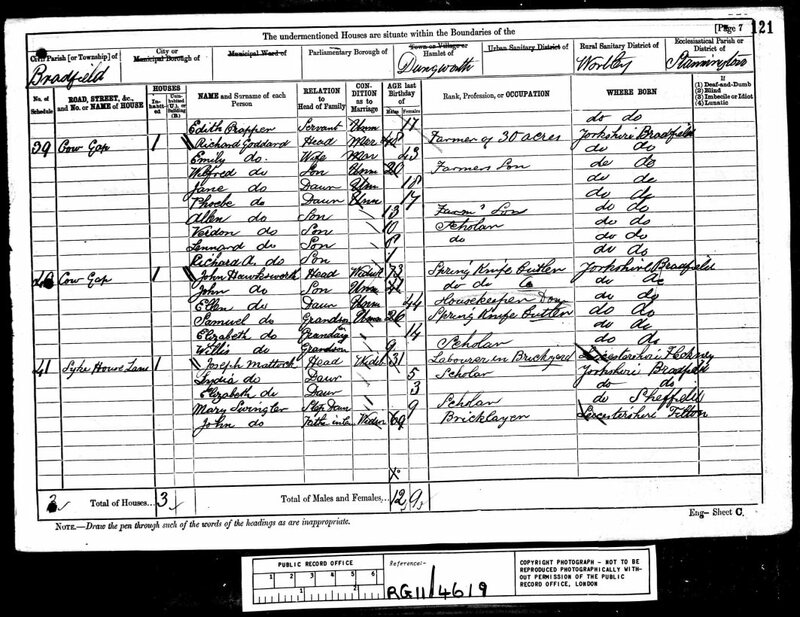 Ann Swingler eventually married Job Mattock in 1873,(Image 5) she could have met him in Sheffield after she moved there, but it's intriguing that he was born in a village in Leicestershire near where she was born. Also there are connections between the Mattock and Swingler families which stretch back to the 17th century. Job and Ann had 2 daughters, Elizabeth and Lydia and another daughter Ellen who died shortly after birth. Of course there is a chance that I may have jumped to completely the wrong conclusions based on rather slim evidence. But that's for you to judge. Although Ann's story of her short 27 years is a rather sad one, I always hope that she had some moments of happiness. She seemed to come from a loving family who supported her when she needed it and I hope she had some good times with her husband and children. From all I can unearth the Swinglers are a family that seem to stick together even as they move around. They can often all be found living in the same street and that must have made for a supportive atmosphere. I know that my Grandmother who was the only Swingler I ever knew was a woman of resilient spirit and good humour in the face of adversity, so perhaps that's a Swingler trait. I like to think so anyway. To save images, click on the link and then right-click on the image and click "Save Picture As". The images open in a new window.